“The Saudi national was on a tour on Uganda. 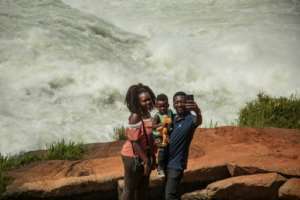 He drowned as he was taking a selfie on the River Nile and the water swept him away,” Uganda police spokeswoman Hellen Butoto told AFP. “The tourist slipped because the surface is wet and he had leaned backwards to take a selfie of fast-running water in the background,” said Butoto.